TEROSON WX 150 offers stable grain technology. The grain will not break down during the polishing process, thus ensuring the required deep cutting action. Therefore, it is perfectly suitable for reworking old and weathered paint finishes on for public transport and commercial vehicles. The product provides durable shine and long-lasting surface smoothness. It has low dust emission and is silicone-free. 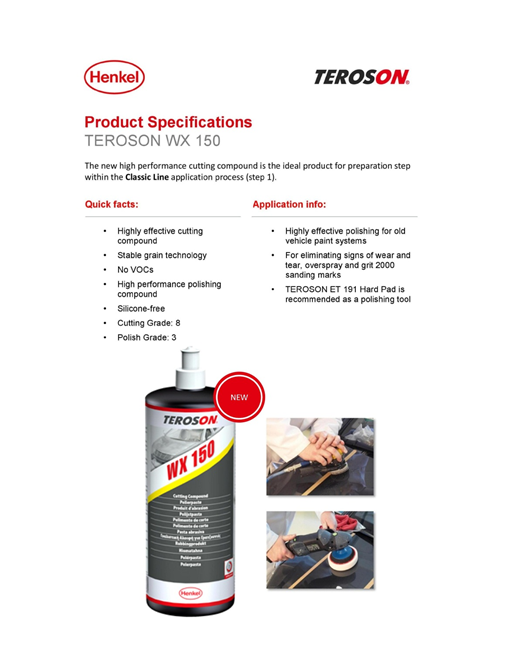 TEROSON ET 191 Hard Pad is recommended as polishing tool in the Compounding Step.